Delfi‑C3 is the first satellite from TU Delft and first nanosatellite from the Netherlands. It is a triple-unit CubeSat demonstrating thin film solar cells from, autonomous wireless sun sensors, an electrical power subsystem and a radio with a linear transponder for radio amateurs. 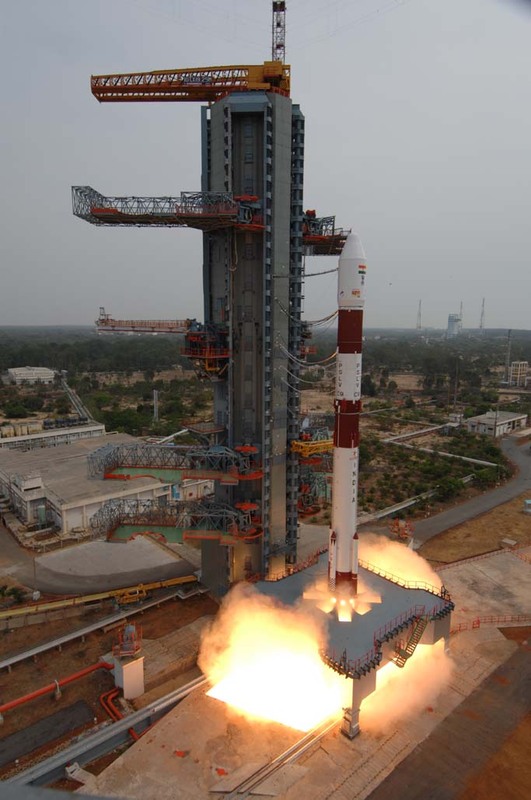 The Delfi‑C3 project is initiated in 2004 and the satellite is launched on the 28th of April 2008 from India. Delfi‑C3 is a full mission success and is still operational today! This page provides an overview of Delfi‑C3’s technical highlights. Each picture links to the most relevant scientific paper available on that topic. Delfi-C3 is a triple-unit CubeSat of 2.2 kg and with 2.4 Watt of available power. It successfully achieved all of its mission objectives. A technology demonstration from Airbus DS Netherlands (formerly known as Dutch Space) with thin film solar cells which have up to 50% better power-to-mass and power-to-cost ratio. The onboard computer collects all data from the subsystems and sends telemetry packages to the radio over an I2C data bus. The novel modular antenna boxes store the 50 cm long antennas based on measurement tape in an internal container and releases them when safely in orbit. A technology demonstration payload from TNO to enable ‘plug-and-play’ type of sensors for spacecraft in the future. The power is generated by four deployable solar panels. A simple but effective central power unit converts it to a steady 12V on the bus. A battery is completely absent! A full duplex radio transceiver with 600 bit/s uplink on the UHF band and a 1200 bits/s downlink over the VHF band, complemented with a linear transponder for radio amateurs. The attitude is passively controlled using magnetic hysteresis rods and a permanent magnet, ensuring a slow tumbling rate which is ideal for the operations and payloads. Delfi‑C3 has a downlink in the amateur satellite segment of the VHF frequency band. Telemetry decoding software is available to participating radio amateurs which allows them to decode and display telemetry in real time and forward this data to the telemetry server. The Delfi team would like to invite all interested radio amateurs to participate in this distributed ground network. The primary downlink is nominally operational during the Sunlit part of the orbit. The transmission is at 145.870 MHz and transmits data with BPSK modulation and upper side band modulation on top. The data rate is 1200 bit/s and the data protocol is AX.25. The RF transmission power is approximately 0.1 W. The backup telemetry downlink is at 145.930 MHz, but is currently not being used. To use this program, the radio receiver should be connected a soundcard input of the PC. The receiver should be properly tuned and corrected for Doppler. The telemetry server is somewhat outdated and sometimes experiences lockups. Also, new personal accounts cannot be created anymore (old accounts and the default guest account works). In the telemetry specification, all content of the telemetry and their conversion formulae to physical values are provided. These definitions are provided in accordance to the radio amateur regulations and are intended for personal use for radio amateurs. In case you would like to use the data for commercial purposes or publications, please contact TU Delft for coordination. Delfi‑C3 was made possible with the technology, facilities and support of project partners and in-kind contributions of sponsors. 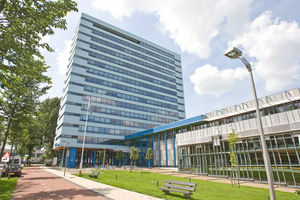 Defence and Space Netherlands, formerly known as Dutch Space, has contributed to Delfi‑C3 with the Thin Film Solar Cell experiment and several in-kind contributions, expert support and facilities. has contributed to Delfi‑C3 with the Autonomous Wireless Sun Sensor payload and several in-kind contributions, general expert support and facilities. has contributed to Delfi‑C3 with the Electrical Power Subsystem main unit and general electrotechnical support. a former subsidy program within the Netherlands for innovation in micro-electronics technology, has contributed to Delfi‑C3 with substantial financial grants for the research, development and test facilities. hosted the thermal vacuum cycle test of Delfi‑C3. has sponsored Delfi‑C3 with software licences for the ESATAN Thermal Modelling Suite. has sponsored Delfi‑C3 with Datamate connectors which are used for the electrical interfaces. has donated two LVB tracker kits for the Delfi ground station. chemical solutions has sponsored Delfi‑C3 with Alodine 1500 surface treatment chemicals. has sponsored Delfi‑C3 with flex-prints for the modular antenna boxes. has sponsored Delfi‑C3 with licences for Satellite Tool Kit (STK). has sponsored Delfi‑C3 with an ICD‑2 debugger for microcontrollers.